“Preemptive restoration”, as termed by Robin Lewis, the Mangrove Action Project’s, Expert Technical Advisor, is the process where stressed mangroves are detected and saved prior to death. 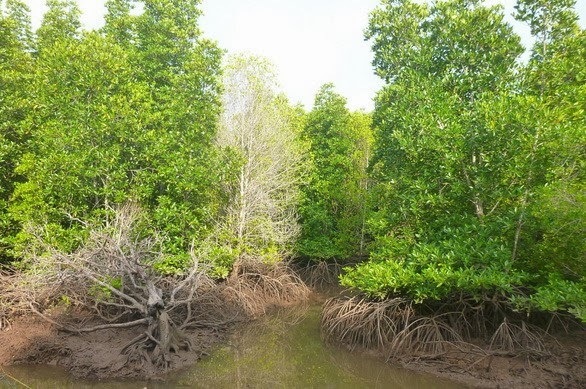 It can be included within the Community-based Ecological Mangrove Restoration (CBEMR) method as it intervenes in mangrove degradation before total death and loss of mangroves and their ecological functions. 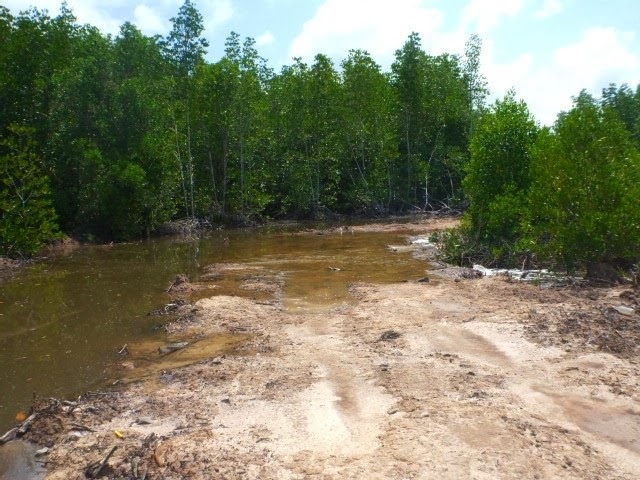 A case study of this preventive technique was undertaken by Mangrove Action Project (MAP) in Trang province in September 2013. 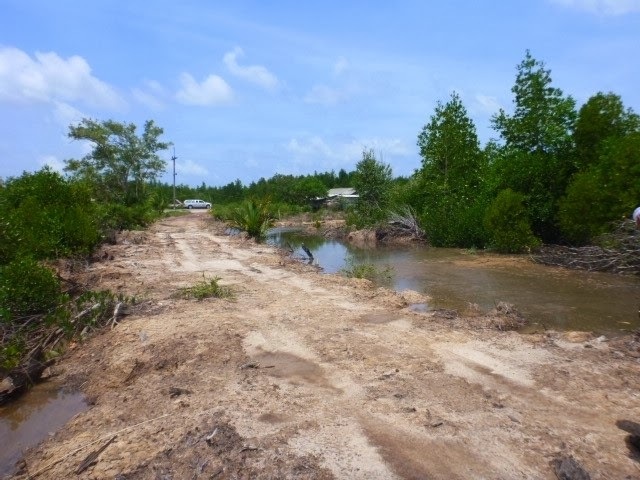 Near the Bang Khao Village CBEMR site where MAP has been working a road was illegally built through the mangroves by a private individual who wanted to gain access his oil palm plantation. 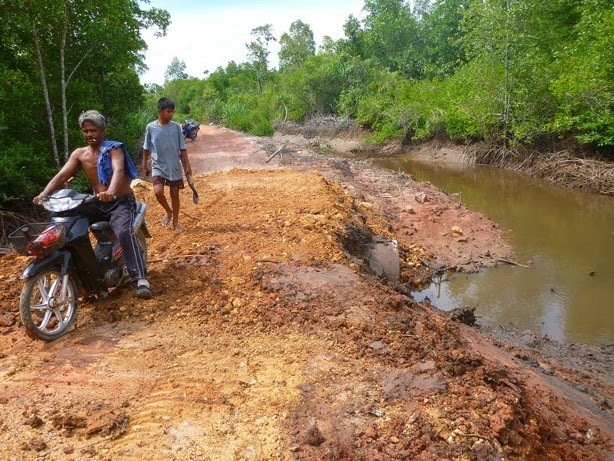 MAP was alerted about the road construction problem by the villagers that worked with them at the Ban Bang Khao site. After observation and assessment of the situation, MAP staff determined that the road was acting like a dike as there were not enough culverts placed underneath the road to allow normal tidal exchange. It also appeared that one culvert had collapsed. 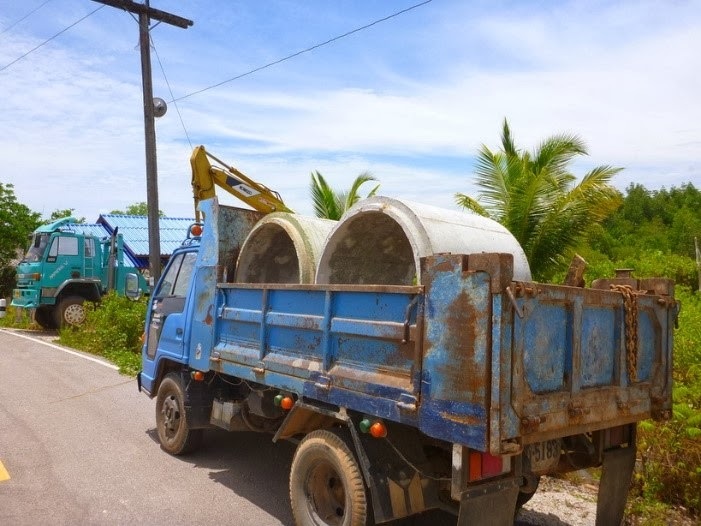 This poor construction was causing high stress on the mangroves due to the slow water drainage and was also causing the water to flow over the road during spring tide as the culverts could not handle the high water volume. Standing water at low tide indicated improper drainage. Dying Ceriops tagal, which seemed to be suffering the most due to their preference for higher drier sites and their inability to deal with the flooding, was observed in the area. Rhizophora apiculata were faring better to the flooding stress. MAP decided to take action and solve the problem by using the backhoe that they had working near the village on the CBEMR site in order to install two new large culverts under the road. This was done fairly quickly and on a low budget costing just over $300. 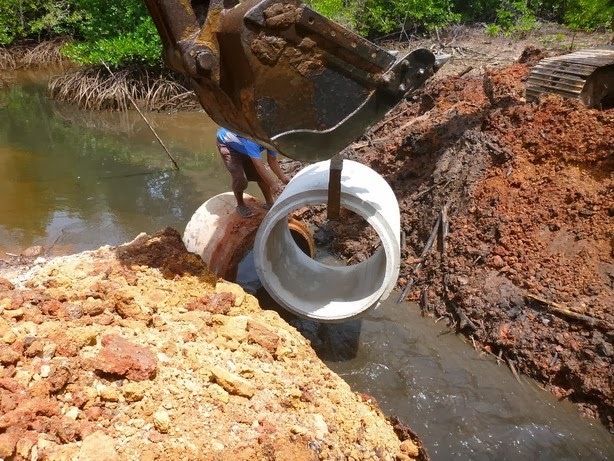 The cost only entailed the backhoe operation time as the culverts were provided free. The site was visited about month later and MAP reports that the problem seems to have been solved. Future visits will be carried out in order to monitor the hydrological situation and the state of the mangroves. 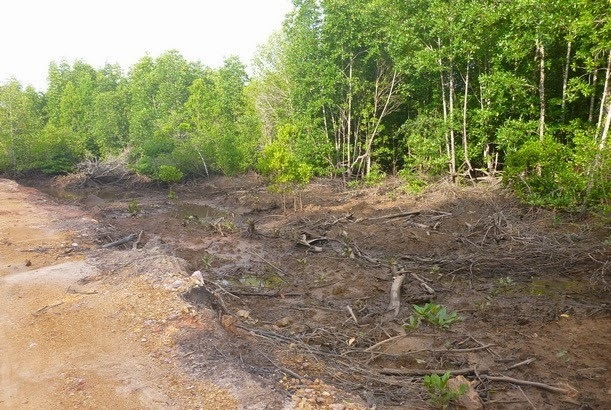 This case study shows that although CBEMR is not a substitute of proper management and protection of existing mangroves, it can also be used to prevent the loss of mangroves and a much more costly restoration intervention. It is a good example of the importance of preventive action and community involvement. This hydrological correction work was completed under MAP's "Mangrove Restoration and Reforestation in Asia, a Project for Knowledge Exchange and Action to Protect Climate change, Forest and Biodiversity" project supported by the Global Nature Fund, the Ministry for Economic Cooperation and Development (BMZ) (Germany) and the Foundation Ursula Merz.